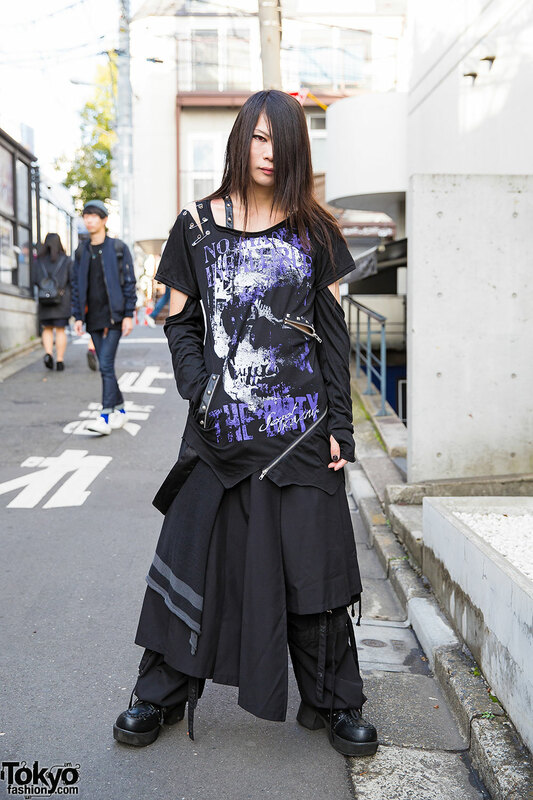 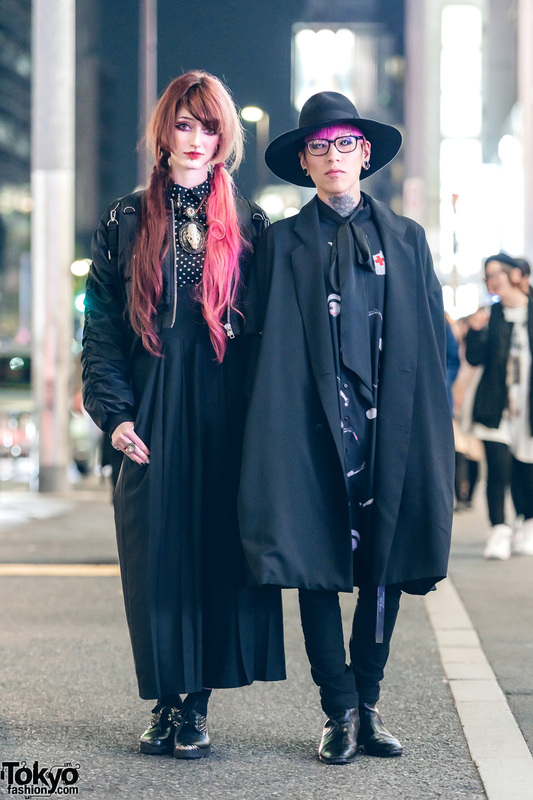 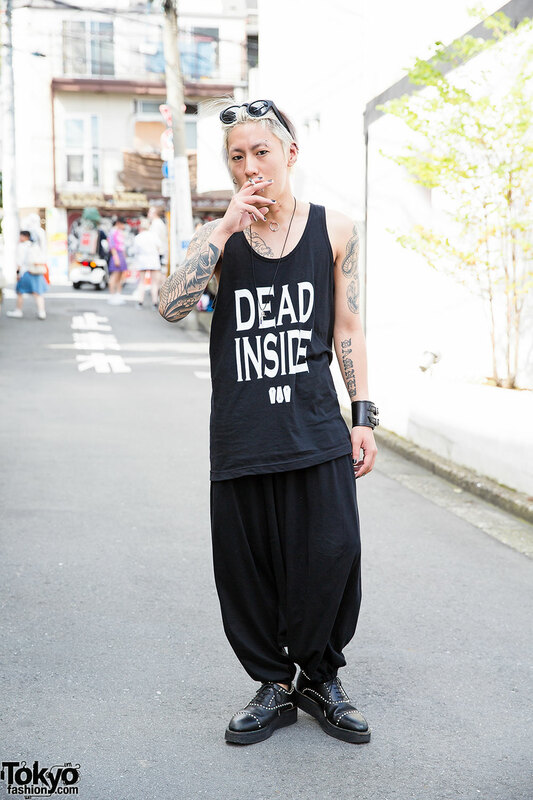 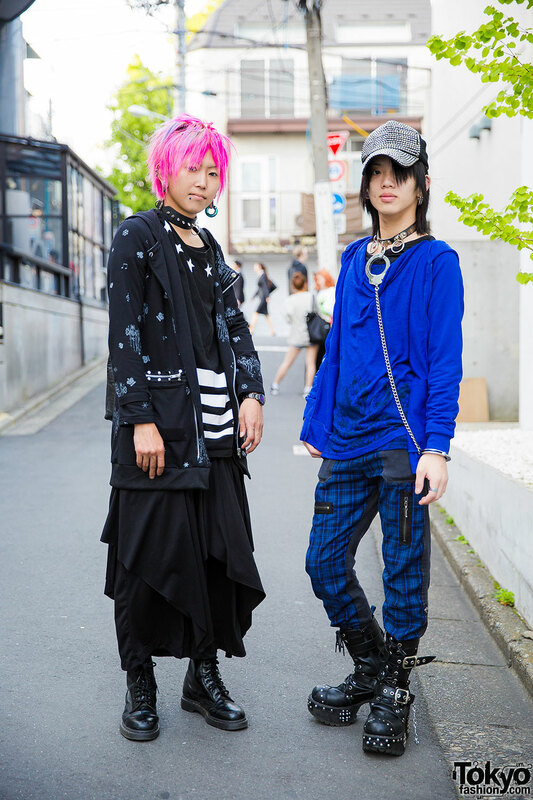 Tattooed Harajuku guy with piercings, wearing a black tank and pants with studded oxfords, cross necklace & cuff bracelet. 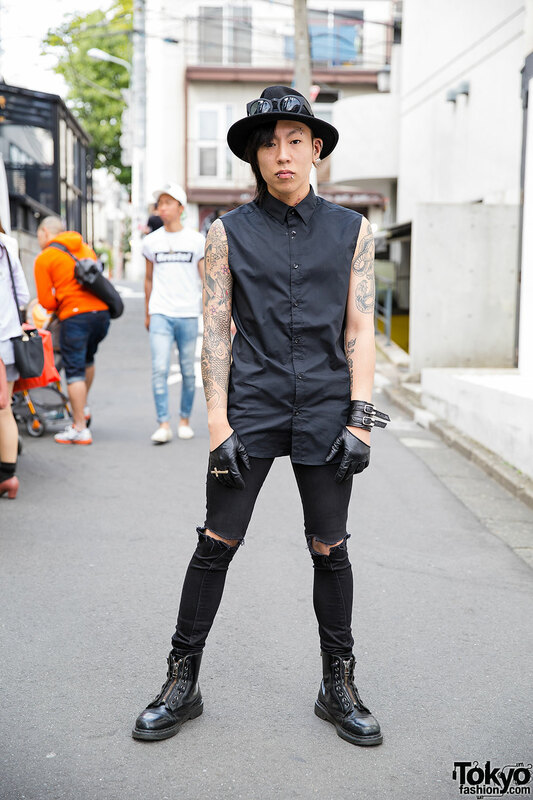 Tattooed Harajuku guy in all black hat, sunglasses, sleeveless shirt, ripped jeans, short gloves, zipper boots and piercings. 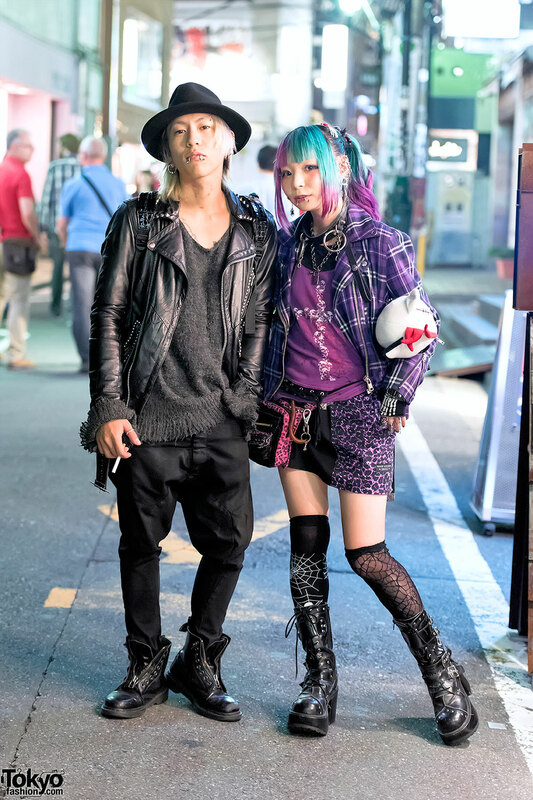 Harajuku girl with purple hair wearing a polka dot sailor collar dress from Candy Stripper and cute accessories.